We are a welcoming group who meet each week for morning coffee, tea and cake. We also organise a variety of different activities including BBQs, kayaking, dinners, parties, card games, live music and dancing, ten pin bowling, lawn bowls, bocce, theatre, trivia nights, etc. We have a lot of fun and it is a great way to make new friends. If you would like further information please contact Anne 0488 126 785 Otherwise just come along to the next coffee morning where you will meet our friendly group. First 2 visits are free. If you wish to join the group then there is a $10 annual membership fee to cover running costs. Please read comment below for the location next month. Jenny Donovan is celebrating her birthday at the GREEN ZEBRA RESTAURANT, 5 Grand Parade, Parreara, this coming Wednesday 17th April at 12.30pm. If you are interested in joining us please reply to this email or phone Anne on 0488 126 785 to secure a seat at our table. This is a great venue for lunch. Our SOCIAL MAHJONG MORNING is on this coming MONDAY 8th APRIL from 9am - 12pm at a private Maroochydore home hosted by Kay Forwood. This is a great strategy game to keep the mind active. You are invited to join our group for a fun and relaxed learning experience. Please contact Kay 0400 177 427 or Anne 0488 126 785 if you are interested in joining us or for any further information. Numbers limited. ANYONE FOR KAYAKING this Sunday 7th April 2019? WHERE: We will meet at the OUTRIGGER PARK, OFF BRISBANE ROAD just before Nicklin Way begins at 2.45pm for a 3pm start for OUR MYSTERY DESTINATION guided by Peter Forward. WHAT TO BRING: Kayak, Canadian Canoe, Paddle Board etc. BYO nibblies & drinks. Peter has a waterproof bag for food & valuables. WHAT TO WEAR: Shorts are best as the paddle always drips and the seat might get a bit wet otherwise you should remain dry. OTHER: Kayaking is no fun in the rain so if it is bad weather the event will be postponed to a later day. For any other information please contact Peter F 0400 177 427 or Anne 0488 126 785. YOU ARE INVITED TO OUR SUNDAY SOCIAL BREAKFAST. This coming Sunday 31st March 2019 at JESSICA PARK, Nicklin Way, Minyama from 8.45am onwards. This is a great oppportunity to catch up with "Our family of friends". BYO everything. (Food drinks/champagne, plates, glasses, cooking utensils etc.) While there is seating at tables it is always a good idea to bring your own chair just in case. For any other enquiries please contact Janet Boon on 0401 736 058. Our change of venue for this coming Tuesday 2nd April 2019 will be at 10am at Ricks Garage, 14 - 16 Margaret St, Palmwoods. This is one of our favourite venues for our coffee group so do hope to see you there. So we can get an indication of numbers for the venue for catering purposes please reply to this email or add your name to the 'Who's Going' section of the website. Look forward to seeing you out and about. Absolutely Joyclyn. Beginners are very welcome. Mahjong is a great game to learn & continue to enjoy. If you are joining us on Tuesday please note that we will be at Ricks Garage in Palmwoods. Look forward to meeting you. Absolutely. You are very welcome to join us Lyn. Look forward to meeting you. Hi Anne, up here to visit my daughter and partner and contemplating a move.. checking to see if it's ok to come to the coffee morning tomorrow? Join our group this coming Thursday, 28th March 2019, at 4pm - 6pm for an enjoyable social afternoon. Meet at Cotton Tree Park, The Esplanade (near Second Ave), Cotton Tree. Everyone welcome to join us for BYO drinks and nibblies. For any further onformation please contact Peter F 0400 177 427. This is a great strategy game to keep the mind active. You are invited to join our group for a fun & relaxed morning hosted by Kay F in a private Maroochydore home this coming Monday 25th March 2019 from 9am to 12pm. BYO small plate of food for morning tea. If you are interested in joining us please contact Kay 0400 177 427 or Anne 0488 126 785. Numbers are limited. The Imperial Russian Ballet Company return to Australia with Swan Lake…the most beloved classical ballets of them all. In order to secure good seats we will need to book this soon. There is only one performance at the Events Centre, Caloundra 10th October 2019 at 7pm. Tickets are $82 concession and groups of 8 or more. I will start collecting money from those interested parties at the next coffee morning at Buderim with final monies due by 1st April. If you are interested in going please contact Cathy on 0421593308 or Anne 0488 126 785. THE SPOT for dumplings, bao & mouth watering curries. The Wharf, 123 Parkyn Parade, Mooloolaba. Meet at 11.30am this coming Wednesday 20th March 2019. If you are interested in joining the group for this great lunch experience either reply to this email or phone me on 0488 126 785. Look forward to seeing you out & about. This is a great strategy game to keep the mind active. If you are interested in joining our group for a fun & relaxed morning in a private Mountain Creek home it will be this coming Monday 18th March 2019 from 9am to 12pm. BYO small plate of food for morning tea. To confirm your attendance & for the address please contact Liz H 0416 275 247 or Anne 0488 126 785. Numbers limited. Please be there by 5.30pm so we can order the pizzas. These will be from PIZZA CAPERS. If we order 10 or more pizzas they will do them for $15 per pizza. Normally pizza prices are $15.95 to $24.95. For any further information please contact Liz H 0416 275 247 or Anne 0488 126 785. We have had a couple of cancellations for this social dinner at AIR ANTICA ITALIAN RESTAURANT, 3/115a Point Cartwright Drive, Buddina this coming Wednesday 6th March at 6pm. This restaurant is air conditioned & fully licensed. THE CHANGE OF VENUE FOR THE BUDERIM LIVELY 50s & 60s COFFEE GROUP for this coming Tuesday 5th March at 10am will be at KAWANA WATERS HOTEL, Nicklin Way (near Dan Murphy), Minyama. This is one of our favourite venues so do hope to see you there. So we can get an indication of numbers to give the venue could you please reply to this email or add your name to the 'Who's Going" section of the website. DON'T MISS THIS FUN AFTERNOON OF BOCCE & FINSKA this coming Thursday 28th Feb from 4pm to 6pm. Meet at Cotton Tree Park, The Esplanade (near Second Avenue), Cotton Tree. Everyone welcome to join us for BYO drinks and nibblies. For any further enquiries please contact Peter F 0400 177 427 or Anne 0488 126 785. Join our group this coming Monday 25th Feb 2019 from 9am to 12pm in a private Maroochydore home. This is a great strategy game to keep the mind active in a fun and relaxed environment. BYO a small plate of food for morning tea. Numbers limited so please contact Kay F 0400 177 427 or Anne 0488 126 785 to add your name to the list if you haven't already done so and for the address. 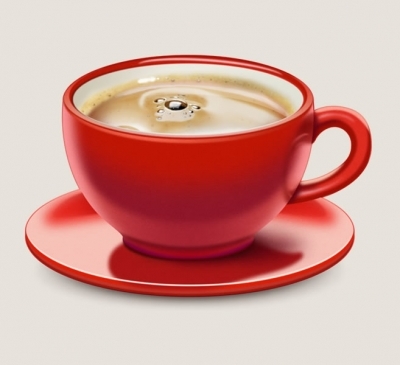 THE BUDERIM COFFEE GROUP SOCIAL BREAKFAST is on this coming Sunday 24th Feb 2019 at JESSICA PARK, Nicklin Way, Minyama from 8.45am onwards. This is a great way to meet up with our 'Family Of Friends'. Erik Buttars will be the host for this event as Janet B is overseas. Please come along & support him. ANYONE FOR KAYAKING PAYNTER CREEK? WHEN: This Sunday 24th Feb 2019 at 3.15pm for a 3.30pm start. WHERE: Start on the western side of Diddilibah Road where it joins Petrie Creek Road. Launch into and explore Paynter Creek before heading along Petrie Creek to Rivershore Caravan Park for afternoon tea at their cafe then return around 5.30 to 6.00pm. Everyone welcome to join us for coffee whether you are kayaking or not. WHAT TO BRING: Kayak, Canadian canoe, paddle board etc. For any further information please contact Peter F 0400 177 427 or Anne 0488 126 785. Come along and join our group at the GREEN ZEBRA RESTAURANT & BAR at 12pm this coming Thursday 14th Feb 2019 to celebrate this special day. It isn't necessary to have a partner - enjoy the day with our 'Family of Friends'. Numbers limited. If you are interested in joining us please reply to this email or contact Anne on 0488 126 785. Yes it is the Buderim Tavern Nora. Look forward to seeing you. Enjoy your weekend. Just confirming it is at Buderim on the 12th? This coming Wednesday 6th February 2019 at 6pm we will be at MR McGEE SPAGHETTI HOUSE, 9/1 Scholars Drive, Sippy Downs. BYO WINE OR BEER WITH NO CORKAGE. This restaurant has a very friendly, casual and cosy atmosphere. Numbers limited but there are still seats available for this dinner so don't miss out. Reply to this email or contact Jeanette B 0416 366 766 or Anne H 0488 126 785. This is a great strategy game to keep the mind active. If you are interested in joining our group for a fun & relaxed learning experience in a private Maroochydore home it will be this coming Monday 4th February 2019. If you can join us please contact Kay F 0400 177 427 or Anne H 0488 126 785 to confirm & for the address . ANYONE FOR KAYAKING THE PARREARRA CHANNEL? WHERE: Meet at the Outrigger Park, off Brisbane Road just before Nicklin Way, at 7.45am for a 8.00am start. Should finish up about 10am. For any other enquiries please contact Peter F 0400 177 427 or Anne H 0488 126 785. The BUDERIM COFFEE GROUP CHANGE OF VENUE for this coming Tuesday 5th February 2019 will be at 10am at the BRIGHTWATER HOTEL, 15 Freshwater St, Brightwater. This is one of our favourite venues do hope to see you there. So we can get an indication of numbers to give the venue could you please reply to this email or add your name to the 'Who's Going' section on the website. Come along and help our lovely friend Leonie Reid, a long time member of the Buderim Coffee Group, celebrate her retirement from the workforce. This coming Friday 1st February 2019 at the WOOMBYE PUB 6pm for dinner. Followed by entertainment by the BEARDED BETTY band. DRESS THEME: Retro/Vintage. Dress up for fun. If you are interested in joining us for dinner please reply to this email or contact Leonie 0437 109 085 or Anne 0488 126 785 asap. Hope to see you out & about.